In lieu of a multi-material, multi-layered upper, the angular Veqon1 by Martin Chapuy was inspired by the clean lines and functionality of contemporary Nordic architecture. Utlizing a direct, ‘form follows function’ design approach, the geometries of the Veqon1 speak for themselves: bold, clean, and futuristic. 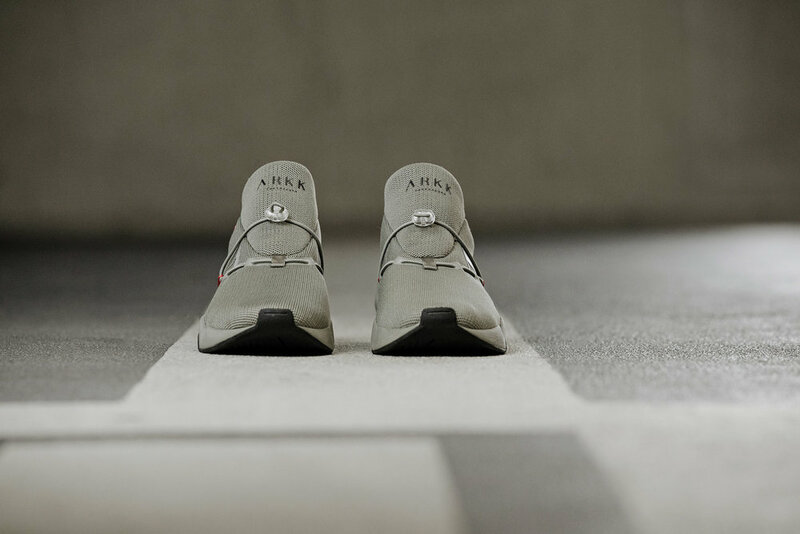 What separates the Veqon1 from other laceless streetwear kicks is this sneaker’s precision detailing: subtle ARKK branding, the innovative toggle closure system, the unique Veqon1 logo patch, and the two debut, go-anywhere colorways (inspired by the Scandinavian landscape).